Durian lovers always look forward to durian season, when the king of fruits is in abundance. 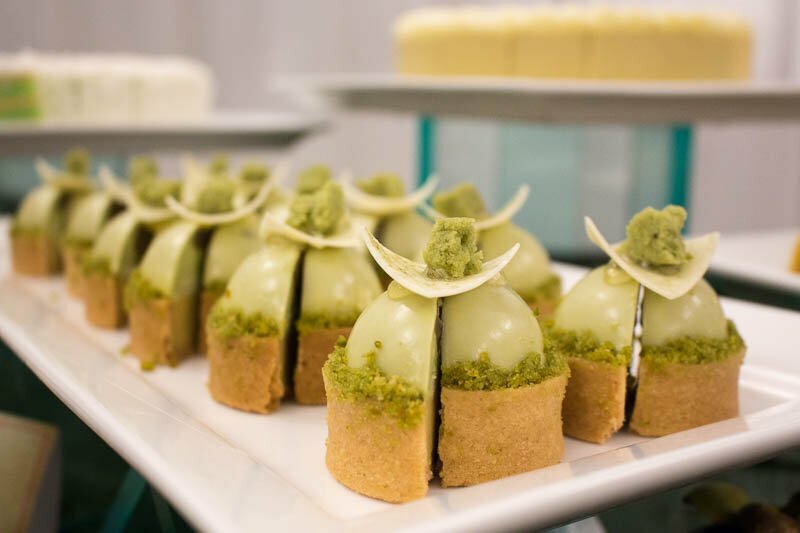 Since 1983, Goodwood Park Hotel has been celebrating this season with a selection of delectable durian desserts. 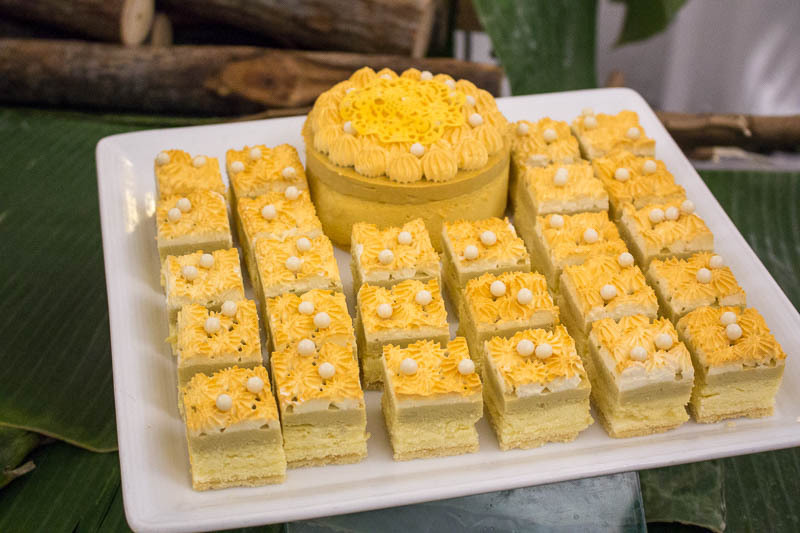 This Durian Fiesta, they have come up with new beautiful creations that will definitely satisfy all durian cravings from now till 14 July 2019. Not to worry, long-time favourites such as the D24 Puff, D24 Crêpe and D24 Ice Cream will make a comeback as well. The first new item I tried was the D24 Matcha Mont Blanc Tart (S$14.80++ for two tarts dine-in only, S$42 nett for six tarts). Every component was something that I love and I was excited to taste them all. Indeed, it was amazing and ended up being my favourite dessert of the night. 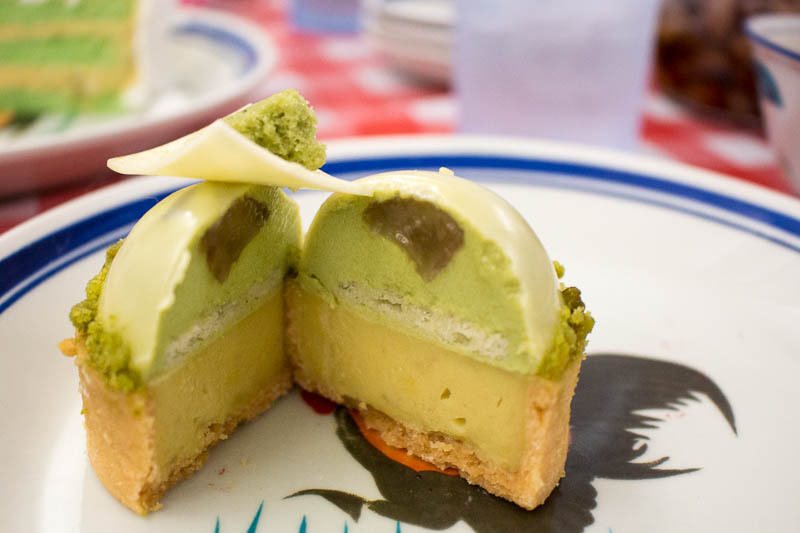 The tart had a sturdy biscuit base, filled with creamy D24 durian pulp, then layered with matcha and chestnut mousse. The bitter matcha helped to cut through the richness, and the flavours went well together. I particularly enjoyed the pistachio garland around it. While subtle, it added a nice crunch for added texture. The D24 Pandan Lapis Coconut Cake (S$16 nett per slice, S$88 nett per 1.2kg cake) had a surprisingly distinct pandan taste. 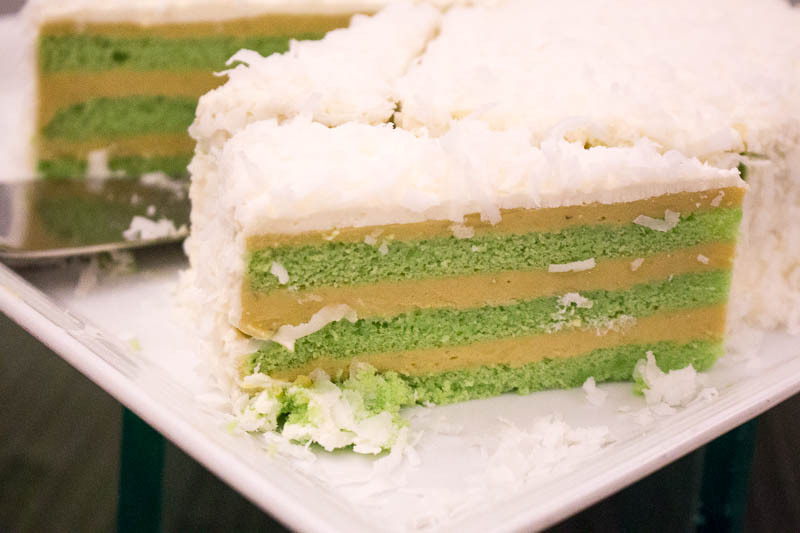 It was a pretty good combination too, and the layers of pandan sponge and D24 durian mousse went well together. The cream and coconut flakes evoked a sense of nostalgia. For those who might not like intense durian flavours, the subtle durian in this makes it a good introductory dessert. The D24 Royal Cheesecake (S$28 nett per cake 350g) confused me slightly. Don’t get me wrong, it had a distinct durian mousse. But there was no trace of cream cheese, nor varying texture which made it rather one-dimensional. The only saving grace was its pleasing aesthetics. Their D24 Singapore Commemoration Cake (S$88 nett for 1kg) features four flavours — gula melaka, coffee, pandan and durian mousse. The cake is embellished with white chocolate squares imprinted with historical scenes of Singapore and Goodwood Park Hotel. Limited to 200 cakes only, you’ll need to order at least five days in advance. There were hits and misses with the new creations. Personally, I felt that the original offerings like the puff and crêpe were still the ones I would return for. 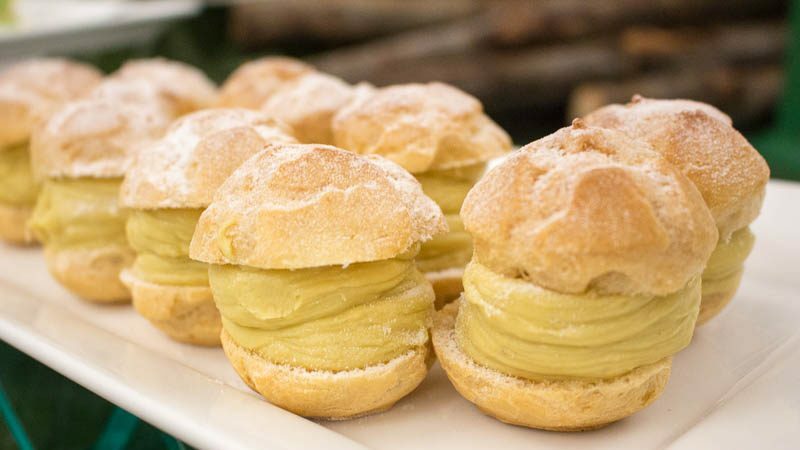 If you’re craving durian after reading this, the Dessert Buffet with the D24 pastries is available at S$39.80++ per pax. If you wish to top-up your a la carte main with the buffet, it will be S$30.80++ per pax.